This is a Ranger Quiver that I did just because it was fun. 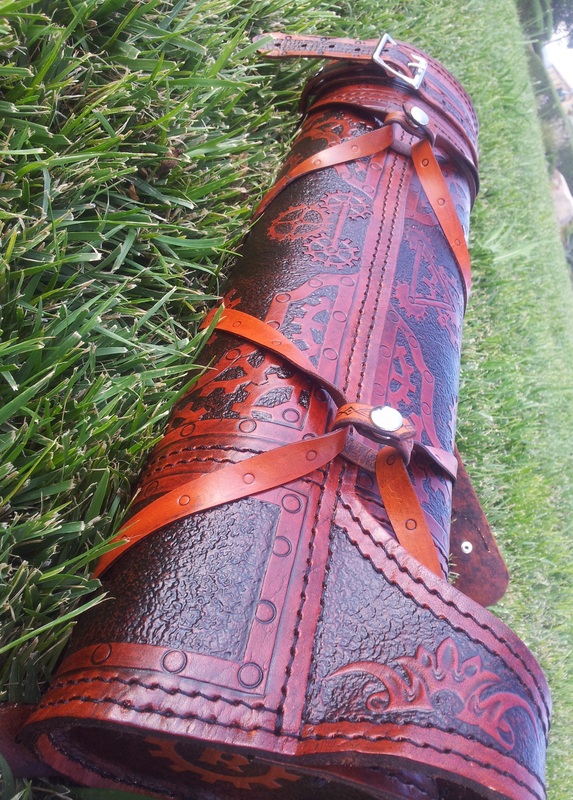 A Custom Ranger Quiver with a Steampunk Theme for the left-handed shooter. I made it a point to detail every little piece of this quiver. The Steampunk Theme is very popular. My friend, Mike Weinberger, shot a video of this quiver for Boarrior Bows Youtube Channel. That video is posted below. This entry was posted in Products & Promotions and tagged arrow quiver, Back Quiver, custom archery, custom quiver, Leather Quiver, Steampunk, Traditional Archery Quiver. Bookmark the permalink.